This vessel is a collaboration with artist Don Vanderpot. His lathe-turned fossilized walrus ivory vessel is embellished with a granulated 22kt yellow gold rim. 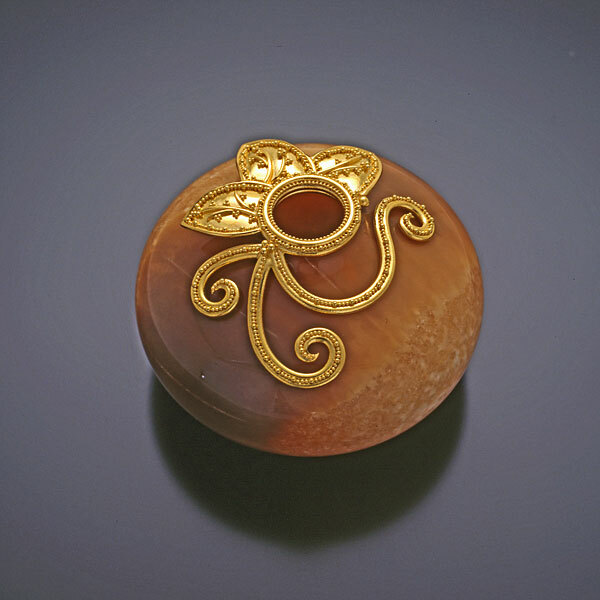 The piece measures approximately 2.25″ wide by 1.25″ tall.